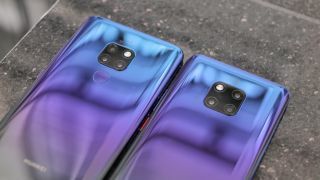 Huawei has earmarked $2 billion to address security concerns raised by the organisation that monitors the use of the company’s kit in the UK’s network infrastructure but has said the process could take up to five years. Several countries, most notably the US, have effectively frozen Huawei out of the market due to fears about links between the company and the Chinese government. These concerns are becoming increasingly common in Europe, too. The main basis for these fears is a perception that Huawei is linked to the Chinese government and that the use of the company’s equipment risks the possibility of backdoors that could be used for espionage. Huawei is a key partner for many UK telcos and is subject to monitoring by the Banbury-based Huawei Cyber Security Evaluation Centre (HCSEC), a specialist unit formed in 2010 to monitor the use of the equipment in the UK’s network infrastructure. In a report published last year, the HCSEC said it could only offer “limited assurances” that Huawei kit was safe to use due to a lack of progress in resolving previous concerns, while a visit to Huawei facilities in Shenzhen had identified a lack of scrutiny with third party components. Huawei said it supported the role of the oversight board, adding that Huawei was the only equipment vendor in the world to voluntarily subject itself to such scrutiny, and said it would address any concerns the HCSEC had raised.